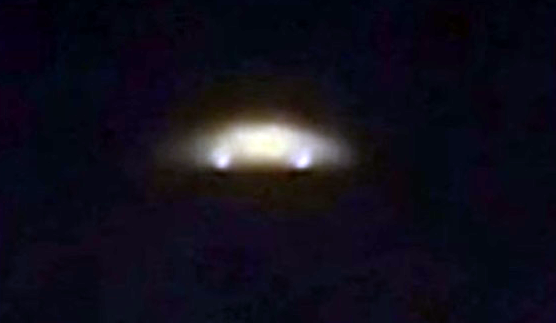 UFO SIGHTINGS DAILY: Mass UFO Sighting Over Hong Kong On June 19, 2016, Photos, UFO Sighting News. Mass UFO Sighting Over Hong Kong On June 19, 2016, Photos, UFO Sighting News. In Hong Kong last weekend a UFO was seen that directly resembles a similar UFO that was recorded (many hours of footage) over Turkey a few years ago. Notice the cloudy myst around the UFO that semi hides its true form, but you can also see two of its propulsion engines on the right and left side. If seeing is believing...then thousands of people just became believers in China on Sunday night. Pictures of an unidentified flying object (UFO) spotted above Yin Lai Court in Lai King emerged on the internet on Sunday, Metro Daily reported Monday. Some netizens suggested it might simply be a drone or an aircraft caught in thick fog. The object seen in the pictures look quite a bit like a flying saucer. 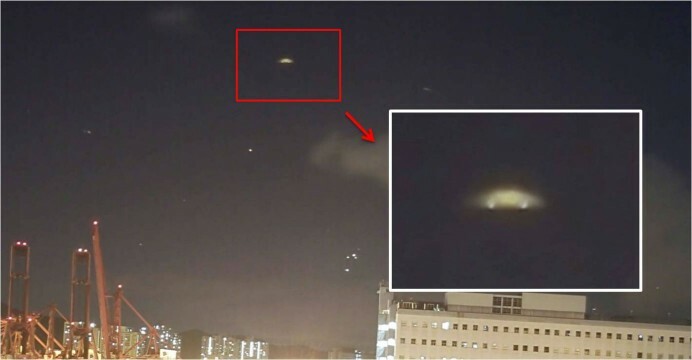 Other netizens reported they saw lights flashing in the sky above Maritime Square in Tsing Yi. Headline Daily reported that the Facebook post containing the pictures attracted almost 2,000 likes and nearly 300 comments. Szeto Wah-koon from the Hong Kong UFO Club said the object captured in the extended-exposure pictures wasn’t a star, which would have left behind a star trail. He said that if the pictures were taken from indoors, the reflection of lights from within the building could be superimposed onto the image, creating mysterious spots of light.